As an internationally active freight carrier, Schmechel makes sure that conditions in transit remain optimal. 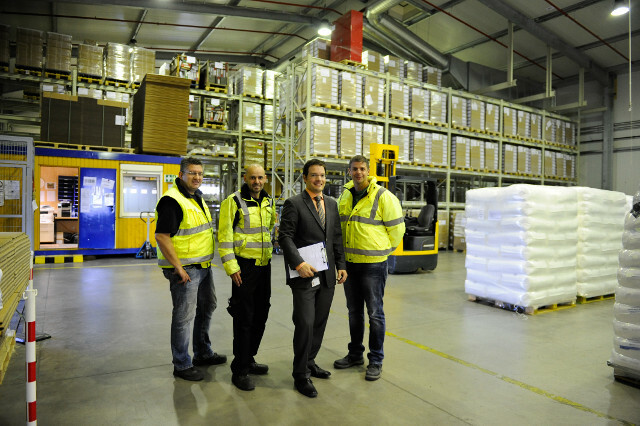 The company also has a modern logistics centre at its location in Bad Oldesloe. 3.900 bays for euro pallets and loading bridges with lock gates help to ensure that there are no issues during reloading. Schmechel has an accredited storage facility for pharmaceuticals and a storehouse for air freight shipments according to IATA and AEO guidelines. From efficient transshipment, fast distribution, and expert storage to packing and labelling – Schmechel offers warehouse services at the highest level. Also offered are special solutions designed to accommodate customer requests and product requirements – for big Industry and small enterprises alike. It is best to use full truck loads for high-quality road transport. 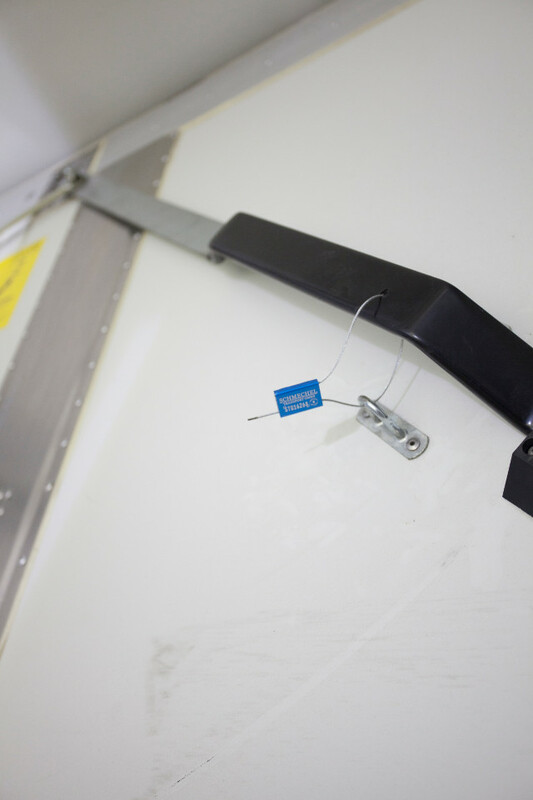 Security-related goods are transported on their own even if the loading area and/or the payload can be used to transport other shipments at the same time. For particularly temperature-sensitive products that are to be further processed in the phar­maceuticals industry, bans on co-loading other goods irrespective of the use of the loading bay in each case are certainly not seldom occurrences when commissioning transport. It is more economic to co-load similar shipments on the same vehicle. The opportunities of cost-efficiently and securely processing sensitive goods that are to be sent in smaller shipments are highly limited. The total of the relevant goods and flows of merchandise are just a fraction of the quantities of normal goods transported. As a result, "dedicated consolidated" requires the experience and expertise of a specialist for this segment. Schmechel offers its customers the possibility of consolidation and cross-do­cking using the Schmechel hub near Hamburg, and soon also in the centre of Germany for sensitive goods. 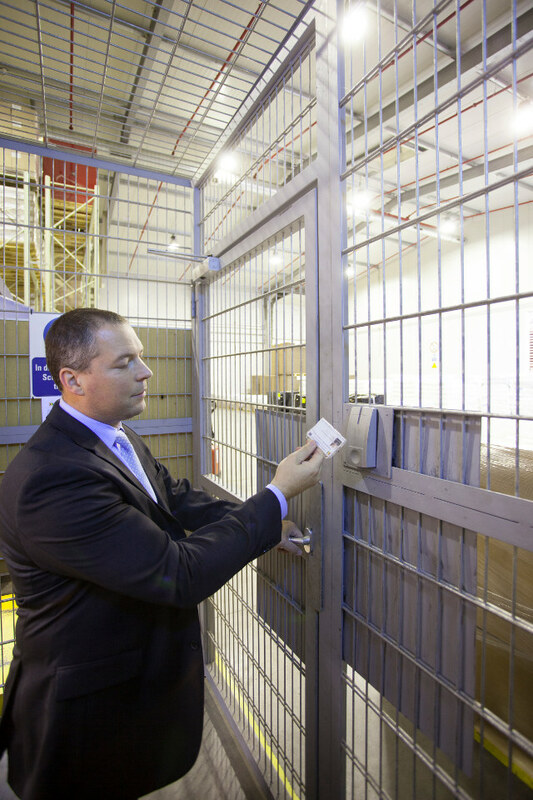 The building complex is highly secure thanks to controlled access. It also meets all relevant GDP requirements such as fully documented, qualified temperature management. These are crucial conditions to be able to reload these groups of goods and consolidate them for more cost-effective transport processing. A transfer station for sensitive pallets with a feel-good climate and end-to-end monitoring forms the foundations for cost-effective transport at this level of quality. It hasn’t happened by chance that in recent years more and more companies are only booking the loading bay space they actually need without losing quality, rather than booking an entire truck. For some time now, Schmechel has been performing pan-European shipments for a well-known luxury goods manu­facturer using this system, because it is also important to transport products such as high-quality writing utensils securely and not using run-of-the-mill mass transport with insecure transition points. Schmechel’s offering is an excellent solution for all shippers of sensitive goods who have previously transported them insecurely, and also offers the ideal combination of security and temperature with low freight rates. The secure hub solution is not always the right solution to transport goods cost effectively and yet securely. All of Schmechel’s trucks can use different temperature zones and even sealable chambers, thus also allowing the con­solidated transport of goods from non EU countries. Schmechel can thus offer the possibility of loading several shipments in a single truck which then delivers these in a pre-determined order without reloading being required. The goods remain in one and the same truck until they are handed over to the recipient. This results in the same quality as for a full load, with exactly the right tempera­ture and security – but at a substantially lower price for the freight. Colloquially, this type of delivery run using the same truck and the same forwarder has become known as a “milk run” – just like the door-to-door milk runs by the milkman to bring us fresh milk every day. Get there with more exclusivity.